At number 5 is the Feeling Younger Skin Tint (£12.50 for 20g) which is an almost-liquid highlighter in a pot. It’s a silvery white colour and it leaves a really subtle shimmer on the cheekbones – I use the tip of a beauty blender to dab it on top of my make up – and gives a really nice healthy glow if you apply it to bare skin/under your foundation. I think it’s really well priced, because £12.50 isn’t particularly expensive AND this lasts forever. Number 4 for me is Dark Angels (£8.50 for 100g), a cleanser I’ve used on and off for a few years. I do think this is pretty expensive for a face wash but I just love it – the smell, the texture, the way it leaves my skin feeling are all a 10/10 for me. It’s really messy to use, as I mentioned in my original review, but if you can get past that I’d say it’s so worth a try especially if you’ve got acne-prone/oily skin. The great thing about Lush is that you can ask for a sample of the products you want to try, and even though they look like really miniscule little pots they will last you long enough to get a sense of whether or not you want to splash out. 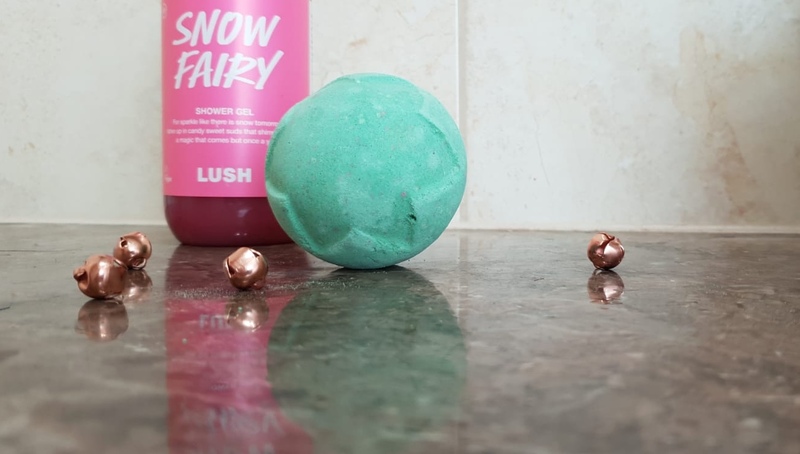 In at number 3 is the coveted Snow Fairy Shower Gel (festive exclusive, prices vary according to size) which everybody just goes nuts for year after year. For ages I didn’t really like it, put off by the sweetness and the hype but one year I picked up a Snow Fairy massage bar in the post-Christmas sale – and while I’m not really a big fan of the massage bars, I found myself really liking the scent. The following year I bought some shower gel and got some as a gift and now I get some every year, trying to stock up as best as possible in the sale. I use it as shower gel, obv, but also as shampoo; the scent lasts really well in my hair and it makes it sooooo soft. Number 2 is the incredible Lord of Misrule Bath Bomb (Halloween exclusive, £4.95) which smells a lot less sweet than other Lush products and even a bit spicy – it turns your bath green and I bloody love it. I’m so gutted that this is only a Halloween-exclusive because I just love the smell SO much, but it definitely makes me excited for this time of year! They also do a shower cream (thicker than the shower gels) in this scent but you can only get it online this year. 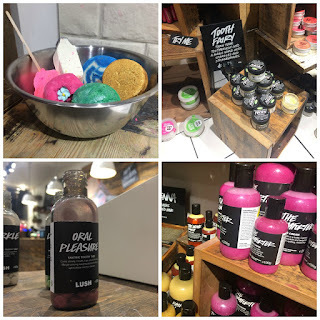 I find the Lush shower gels and creams to be quite expensive for what they are, but they’re perfect as a treat or a present and they do last a good while. And finally number 1, my favourite ever Lush product: The Comforter Bubble Bar (£5.25). It’s purple and white and so sweet, and you don’t need much of it to make plenty of bubbles in the bath so you can definitely make it last – at just over a fiver I think it’s really well-priced and it’s the one smell that always puts me in a good mood. It makes the bath pink, too, and who doesn’t want to relax in a warm pink bath full of bubbles? The bubble bars from Lush are absolutely iconic, and this is definitely one of their staple products. I even made my own, once, at a blogging event – it didn’t look quite as good as the ones on the shelf but it worked just the same. What a dream. So there’s my top 5 Lush products – and I’d like to give a special shoutout to Snowie, the Christmas special David Bowie themed snowman bubble bar which I am dying for them to bring back just once, and also to the bubblegum lip scrub which was the inspiration behind one of my very early blog posts (cringe) and smells phenomenal. 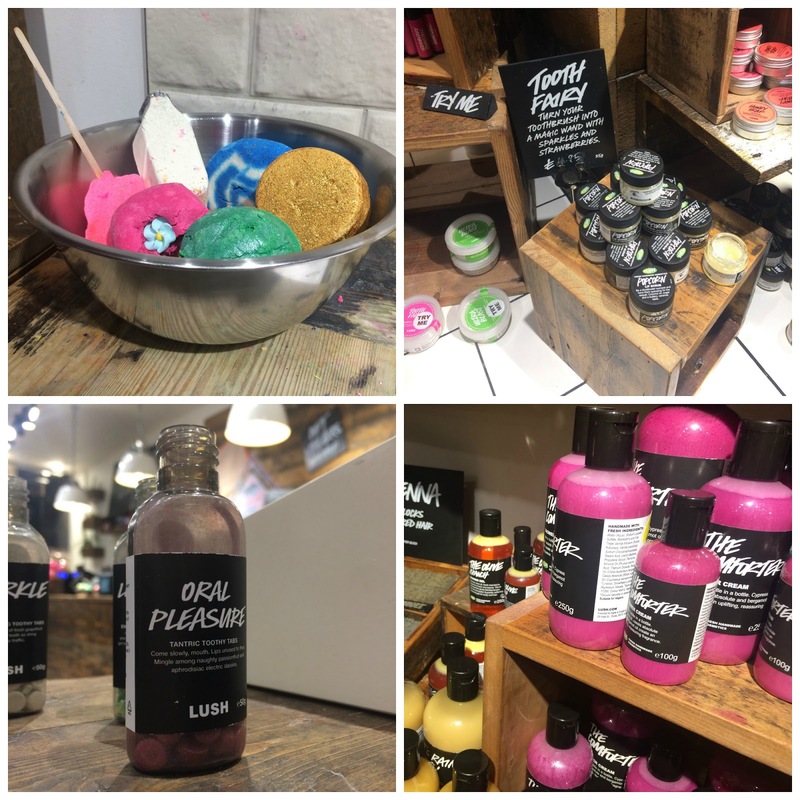 Make sure you head over to Lyd’s blog and check out her 5 Lush hacks to make the most of your favourite Lush products. Great post babe! I am obsessssssed with Snow Fairy too I currently am very proud to say I've made two of the large bottles I got in the sale last all year but I never thought about using it as a shampoo?! I'm defo trying that, thanks for the tip!